If you are looking for a Chris Reeve Sebenza with more uniqueness and artistry that the basic model, the macassar ebony inlays and the stainless S35VN blade on this knife will be a perfect fit. This Macassar Ebony Wood Sebenza will take your everyday carry to the next level. The large sebenza 21 features a drop point blade that measures 3.625" long. Stainless American Made CPM S35VN blade steel is unmatched in performance. The blade opens smoothly yet with one-handed assurance thanks to the anodized titanium thumb lug. 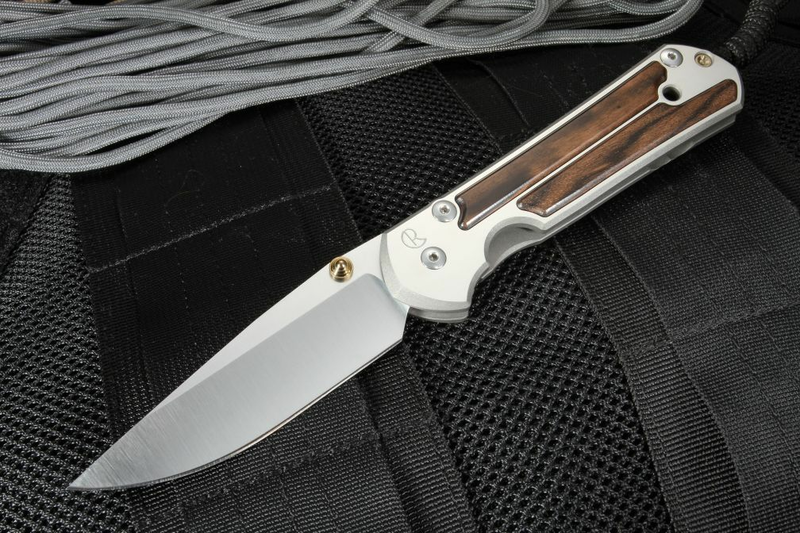 The handle on the sebenza features satin finished flats with upscale inlays of exotic Macassar Ebony. The build of the knife is upscale yet the construction of the knife is all work. The thick titanium frame of 6AL4V alloy is extremely strong and rigid. 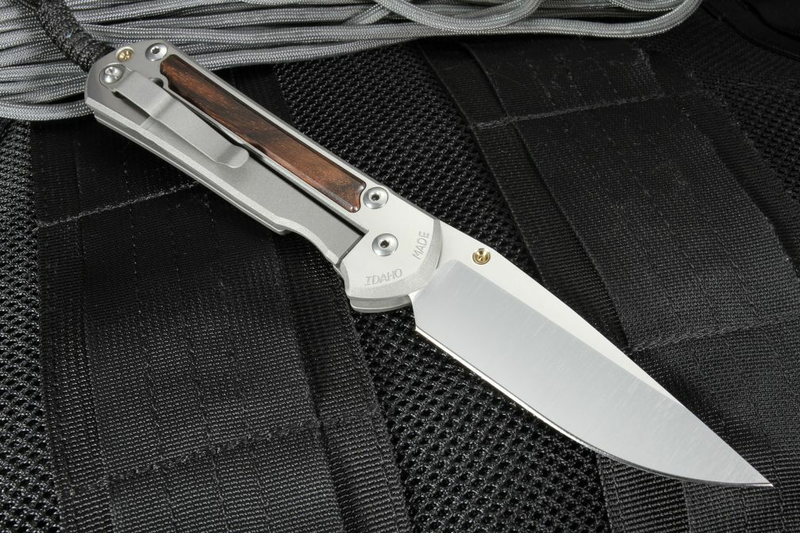 The Reeve folding knife comes with a leather slip case for protection from your keys and other items in your pocket; additional the knife can be carried with it's titanium pocket clip. As an Authorized Dealer for CRK we offer a full satisfaction guarantee, in-stock new knives and fast same business day shipping.